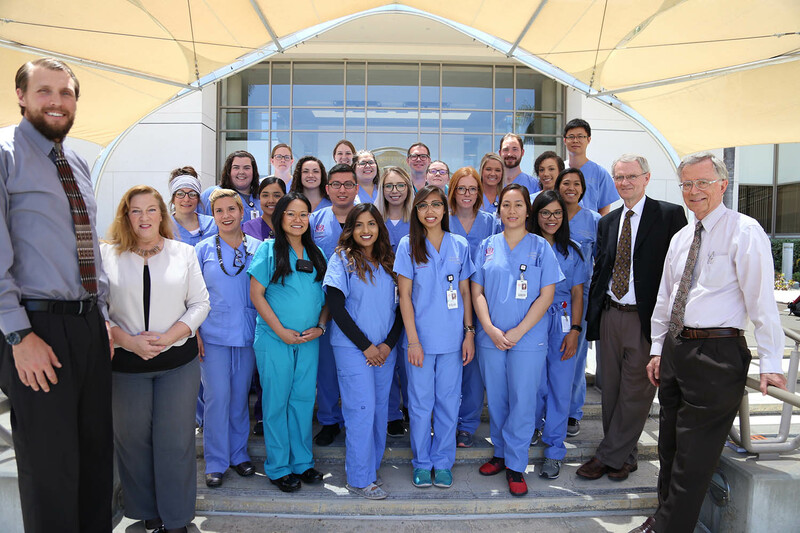 Loma Linda University (LLU) School of Medicine’s pathologists’ assistant program earned national accreditation by the National Accrediting Agency for Clinical Laboratory Sciences (NAACLS) for five years, the most an initial applicant can be awarded. The two-year master’s degree in health sciences is among 11 accredited pathologists’ assistant programs in the country and the only program west of Chicago to offer education in surgical and autopsy pathology. “To be awarded a full five years as an initial application for accreditation is quite an honor and speaks to the high-quality education our students will receive,” said Cheryl Germain, MHS, PA (ASCP), program director for the pathologists’ assistant program at LLU School of Medicine. Surgical pathology performs the dissection and description of the specimens generated from the clinics or operating rooms, from a biopsy to a complex cancer resection. Pathologists’ assistants are required to have comprehensive knowledge of anatomy, pathology, and surgical techniques, in addition to a patient’s clinical history. Students in the program participate in various clinical sites, including academic, community hospitals and private labs, offering exposure to different work environments. It took a three-year review process by the NAACLS to earn the accreditation on April 30. The department accumulated various data for the self-study report, including program curriculum, evaluations, student outcomes, school and program policies, clinical training sites, didactic and clinical faculty, and the provision of resources to the program. Each step of the process was reviewed by NAACLS committees for quality assurance, including a site visit that led to the final approval by the NAACLS board of directors. “The high-level of accreditation we received is the culmination and recognition of everyone’s hard work to make this program the success it is,” Germain said. The next class begins September 2018, with interviews currently being conducted through the end of May. For more information on LLU School of Medicine pathologists’ assistant program, watch the following video or visit medicine.llu.edu/academics/pathologists-assistant-program. Loma Linda University Health includes Loma Linda University's eight professional schools, Loma Linda University Medical Center's six hospitals and more than 900 faculty physicians located in the Inland Empire of Southern California. Established in 1905, Loma Linda University Health is a global leader in education, research and clinical care. It offers over 100 academic programs and provides quality health care to over 40,000 inpatients and 1.5 million outpatients each year. A Seventh-day Adventist organization, Loma Linda University Health is a faith-based health system with a mission "to continue the teaching and healing ministry of Jesus Christ."